I recently stumbled on some wonderful food-for-thought, in the form of a beautifully designed seating structure, by Knauf & Brown - a talented design firm based in Vancouver. But first, let me provide a bit of context. As consumers in the golden age of cheap mass-production, we're innately susceptible to certain predispositions, that seem so natural, it's almost instinctual. Without even realizing it, we categorize the types and tiers of objects in our lives, based on their perceived value, according to what we feel we know. We know plastic as cheap, for instance. We intuitively see dark wood as richer, and more lavish, compared to lighter variants. 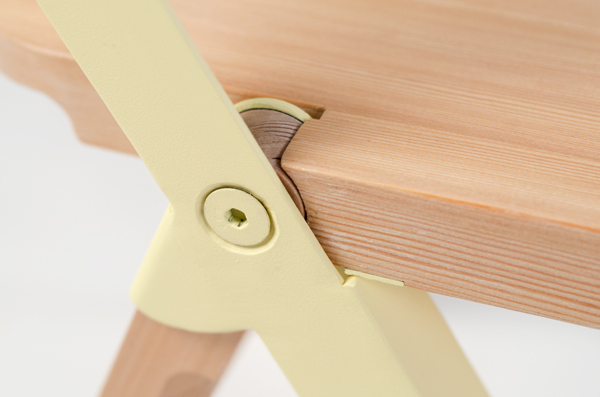 And we know that folding furniture is a subpar alternative to what we would otherwise use: solid, standing pieces. Take the typical folding chair as an example; it's cheap, comes in bulk, and only comes out when there's not enough 'normal' chairs to seat people. As Knauf & Brown so adorably phrased it, "...they are ashamed of their cluttered leg regions, complicated actions, and cheap materials." 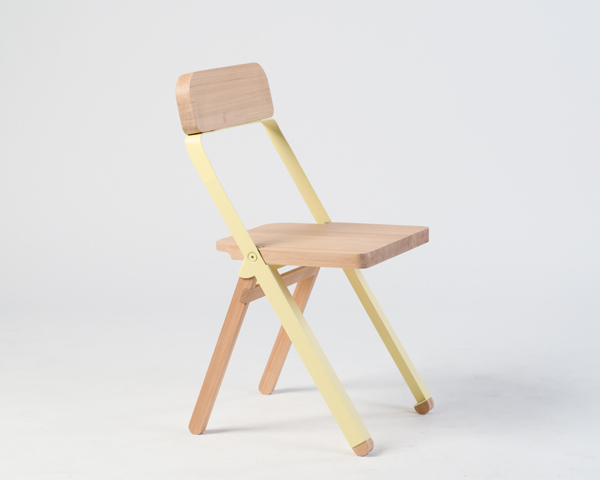 The folding chair as we know it, as a stylish, and attractive solution is doomed from the start. As designers, our job is not only to improve the living environment of others, but also make them question it - something Knauf & Brown has achieved in a beautifully clever way. 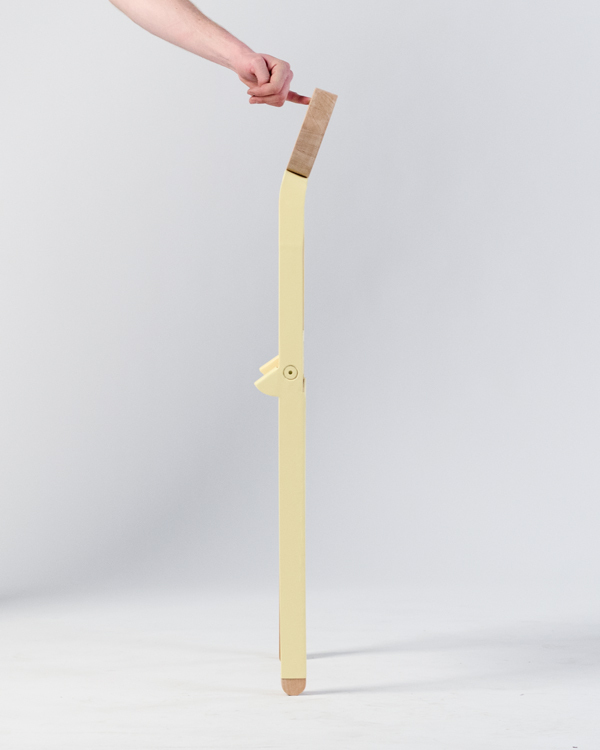 Going against the grain of perceived value to expand people's perceptions to how it could be, rather than how it is, is the conceptual nature of the Profile Chair. Whoever said that folding chairs have to be an unfortunate last-resort, collecting dust in the back of your closet? If you think about it, the nature of the design is quite brilliant - allowing fully functioning seating, but also being able to be stored away with incredible efficiently, to take up a small fraction of what a normal chair would take up. To phrase it briefly, the potential of this design program is incredible. 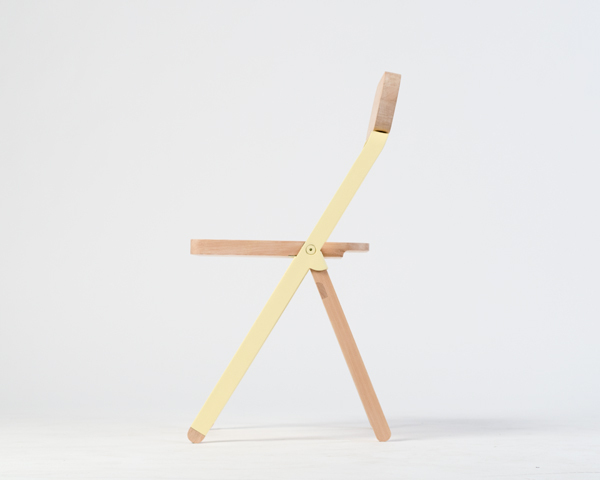 The Profile Chair composes itself of a solid wood seat and back, beautifully married with a powder-coated steel hinge, and leg supports. Folded up, the piece is - as the title suggests - a near perfectly flat profile, with a slight hockey-stick bend allowing you to lean it against a wall as not only efficient storage, but also a lovely display. My awe of this piece lies in the sophistication of its details, and particularly the simplicity of its form, which fits into itself so perfectly - a design feat that's far from simple. A common misconception is that something that looks simple is also simple to make - which is actually quite the opposite. 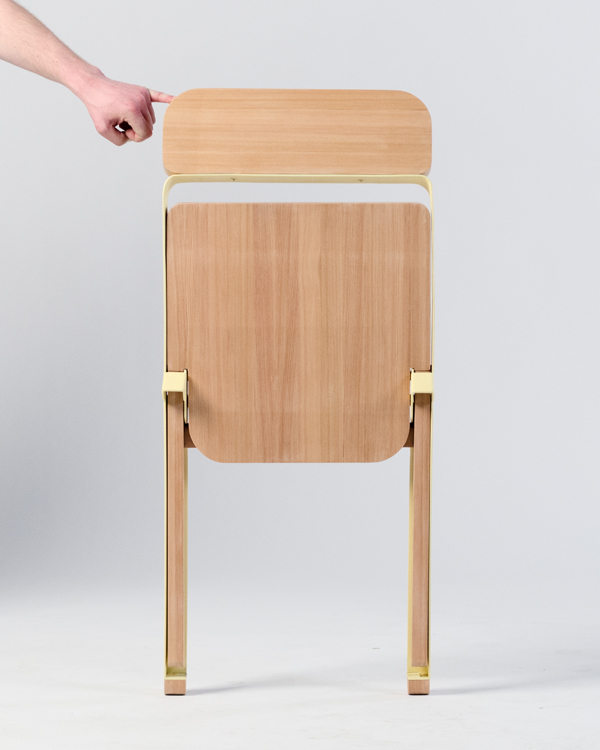 Being able to neatly hide functional, and structural details in a simple, minimalist form is quite a challenge, making the Profile Chair all the more impressive. As a hybrid of a fantastic concept, highly-skilled craft, and immaculate design, Knauf & Brown set the bar for furniture makers and designers to be inspired by, and aspire to. For more great work like this, you can have a look at Knauf & Brown's portfolio. Photography courtesy of Knauf & Brown.